There seems to be a new trend with unfinished film projects. Share the dead ideas until the fans strong-arm the studios into a budget. It worked for Deadpool after the test footage was leaked. 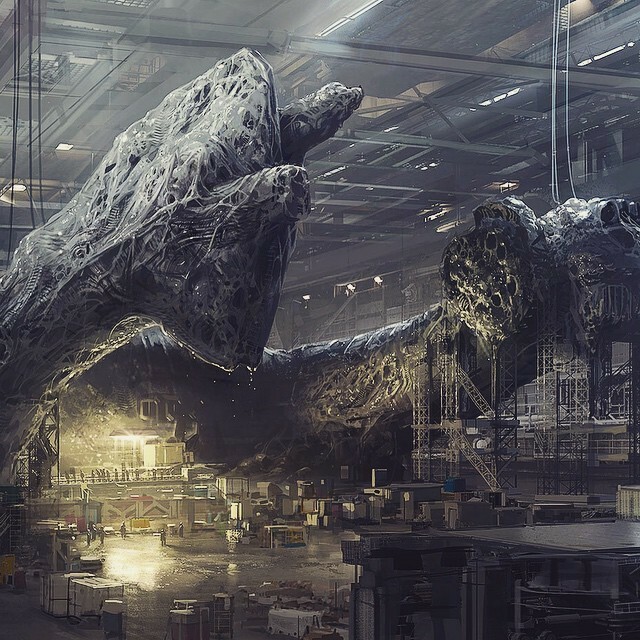 Now it could be happening again for an Alien reboot film by District 9 director Neill Blomkamp. I love Blomkamp’s work. I’ve poured hours into tracking down the short films, clips, and tests he did before District 9. His style is immediately recognizable and his stories always pack a punch. His most recent film, Chappie, is on it’s way to theaters in March. I’m as excited to see that as anything he has or will ever do. It’s set once again in South Africa, a territory Blomkamp calls home in the real world and in the worlds he creates. Yesterday, the filmmaker took us inside a different world. The world created by Ridley Scott and James Cameron. The world of Alien and Aliens. The project was so secretive, not even Fox knew about it. So this probably never an official thing. The concept art shows a new look at what could (and probably should) have happened after Cameron’s installment in the series. Hicks and Ripley survive, get fitted with some cool new biotech, and fight more Xenomorphs in terrifyingly beautiful environments. I get “passion project” vibes here. The photos posted on Instagram are collected here on The Verge. Well worth a look. Maybe, with enough interest, we’ll be lucky enough to see this movie come to life.